Considered sacred by many, the Hazrat Nizamuddin Baoli is one of the few stepwells left in Delhi that&apos;s fed by an active underground spring. 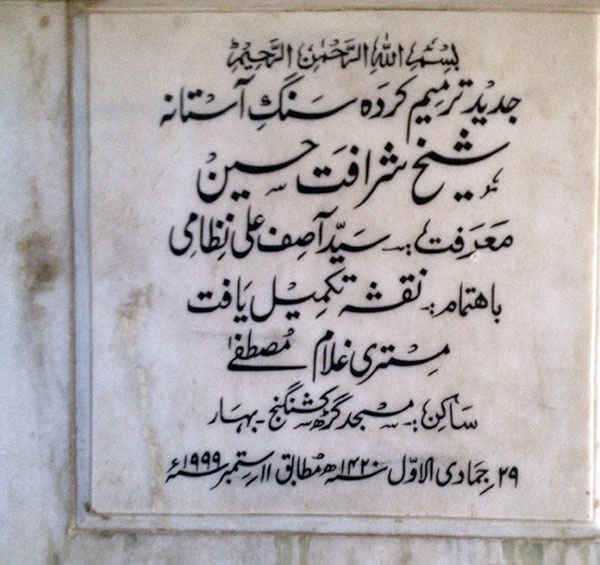 It&apos;s located at the entrance of the famous Hazrat Nizamuddin Auliya’s Dargah. Also nearby is the renowned poet Amir Khusrao’s Dargah. As you walk through Nizamuddin Basti towards the Dargah and the Baoli, the smell of biryani, nihari and sweetmeats takes over all your senses and as soon as you pull yourself out of that, the sheer difference in culture of this little gully will amaze you. 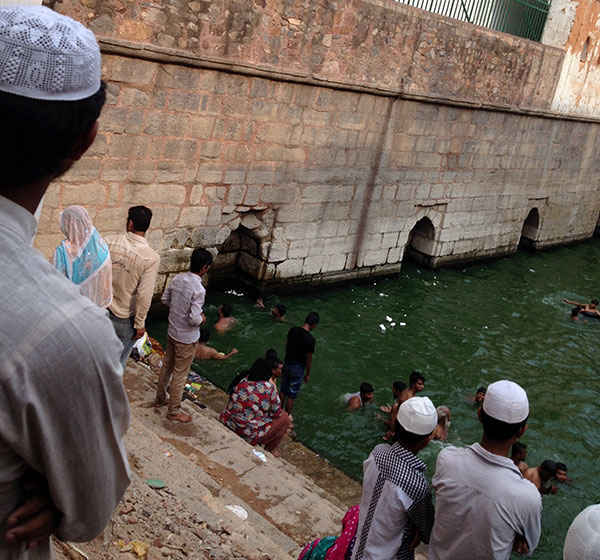 On reaching the Dargah and walking towards the baoli, one finds it to be the most crowded place in the basti and yet, the happiest too! With young boys swooping into the holy water and laughing, cheering crowds look on - it&apos;s an odd kind of peace that you witness here. It can be approached via the JLN Stadium Metro Station (Violet line) or the Jor Bagh Metro Station (Yellow line). This baoli was constructed over 800 years ago by Hazrat Nizamuddin Auliya himself. It is over 160 feet deep, surrounded by the typical 14th-century architecture, and small, storeyed houses. The dargah that surrounds it adds to its charm, with a stunning silver carved door and other intricate details. Three sides of the baoli are surrounded by walls and one side has a flight of stairs leading to the water. The water is considered to possess healing powers and is hence believed to be sacred. The site has undergone major restoration work to look like it does today. Some new construction is also taking place as balconies are being added, so that you get a clear view of the baoli and not get pushed around by crowds thronging the nearby dargah. During rainy season, there is enough water in the baoli to hide most, or its entire staircase while the summers reduce the water level as the temperatures rise. Built amidst a lot of chaos and shortage of laborers, the construction of this baoli took place under pretty interesting circumstances. 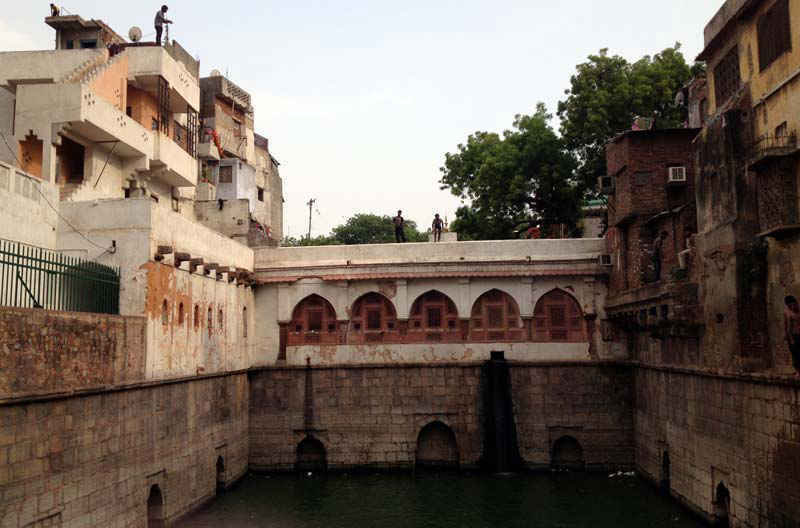 According to most locals, Nizamuddin was building this baoli at the same time as Ghiyasuddin Tughlaq (the then ruler of Delhi) was building his fortress in Tughlaqabad. This infuriated the ruler so much that he barred all the Delhi labourers from working anywhere other than the Tughlaqabad fort all day. Surprisingly, the labourers were so devoted to the Sufi saint that they found a loophole in the decreed ban, and started working at the baoli site at night. This only added fuel to the fire so Ghiyasuddin decided to ban necessary fuel itself, i.e., he banned the sale of oil used in lighting lamps. Now this is where the story takes up different versions as per the locals. Some believe that the construction of the baoli was completed under moonlight while some say that the holy water of the baoli was used instead of oil to light the lamps. Intriguing! The side which holds the stairs has a gate which is locked from time to time during the day, to prevent overcrowding in the baoli. However, this gate doesn’t stop the local lads as there is a small gap in one of the walls which the boys use to enter the baoli area &apos;unnoticed&apos;. You will be able to see a few of them splashing around in the water. If you stand and watch them for a few minutes, they’ll even show you their diving skills. You’ll be amazed at the ease with which these boys climb up the steep rugged stairs on one side and up to one of the originally carved windows on the wall. Wait for a few seconds for them to catch their breath, and before you know it - one of them would have taken the plunge causing a big splash! It&apos;s quite a spectacle to watch! In 2009, when conservation work at the Nizamuddin Baoli started in full swing and it was cleaned for the first time in hundreds of years, what was discovered was a blocked passage, which historians believe was used by Hazrat Nizamuddin to access the baoli from his adjoining mosque. After cleaning large amounts of waste and silted debris, several collapsed portions of the baoli were rebuilt. Today, this baoli is a protected monument under the Archaeological Survey of India and its conservation is taking place as part of the &apos;Humayun&apos;s Tomb-Sunder Nursery-Hazrat Nizamuddin Basti Urban Renewal project&apos; under the Aga Khan Trust for Culture. 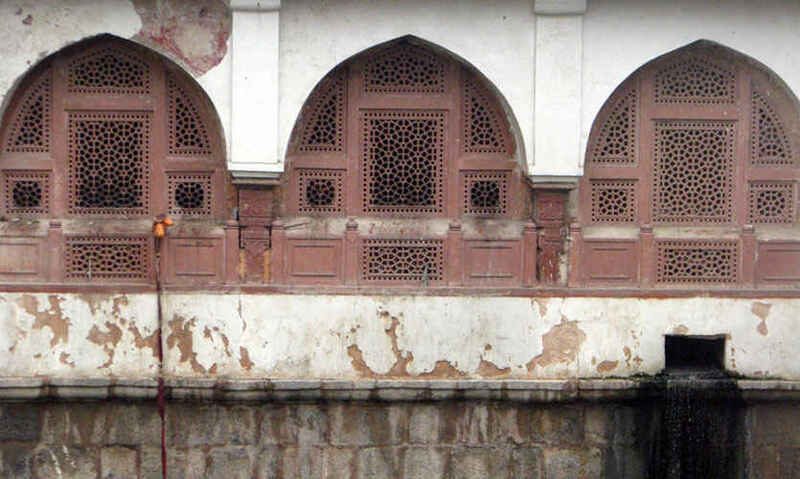 The baoli is considered undoubtedly sacred, but is also treated as a dumping yard by some. One can see a lot of trash piled up on all the four corners of the baoli, especially near the gate. Major restoration processes have taken place in the past to retain the holiness of this baoli but ultimately, it’s the locals who’ll have to take an interest in keeping it intact before this historic stepwell becomes a dirty sewer like most others have sadly become. We&apos;re truly amazed by the amount of history each brick of this baoli holds within itself and thoroughly amused by the locals&apos; antics - head on over to see the spectacle for yourself!